Who knew I could be so crafty. Well, actually I did kind of know, but I put that part of me away for so long that I forgot where I hid it. I also forgot that I like the process of creating things. 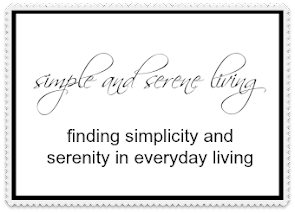 Especially when they add to my simple and serene environment. When I can repurpose something it is an added bonus. Last week I wrote about making rag wreaths, which involve recycling fabrics and adding vintage items from my stash. I'd love to have you read that post, but for some reason even though it shows in my blog post list it has disappeared from my blog. SIGH!!! Recently I have been hoarding burnt out light bulbs. I use lamps in my antique booth and I seem to go through several light bulbs a month. (I love that they are making energy efficient bulbs that look like old fashioned bulbs, instead of those swirly, twisty things.) 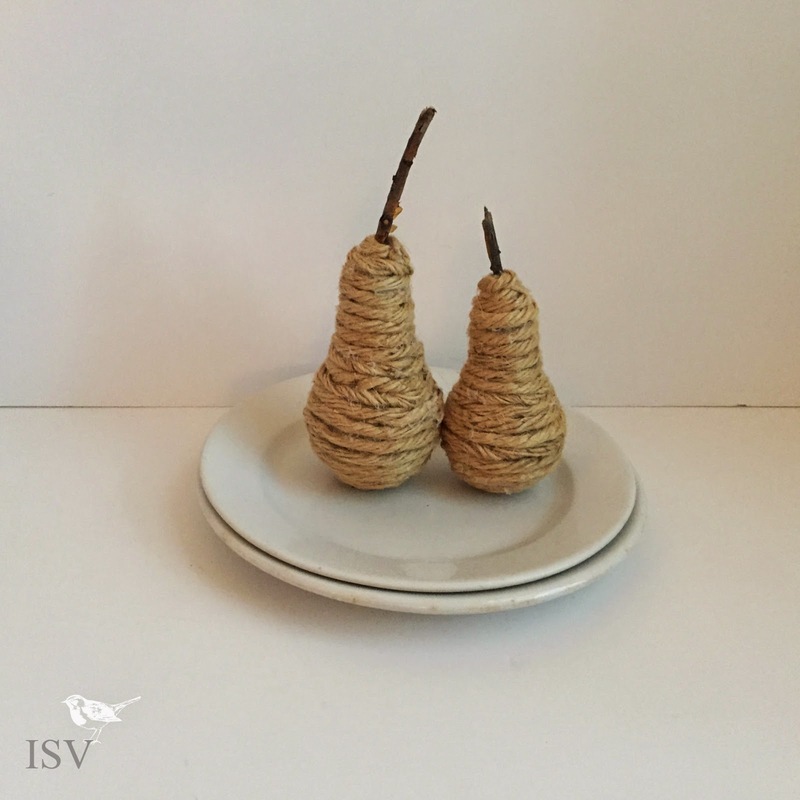 I knew there must be something I could do with them, and so of course I checked on Pinterest and found some ideas for turning them into pears. WHO KNEW!!! I also just happened to have a big roll of jute rope that I found at Goodwill for fifty cents. 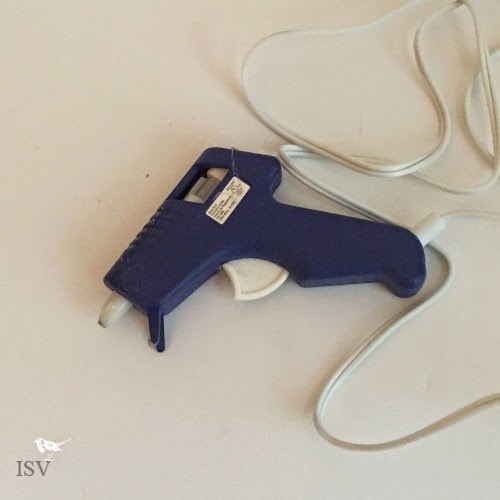 All I needed now was my trusty little glue gun. I dug down into the tombs and sure enough there it was. Ugh, my photos from today are really blurry. It is so dark and gloomy out. Once I had gathered my supplies, the rest was really easy. 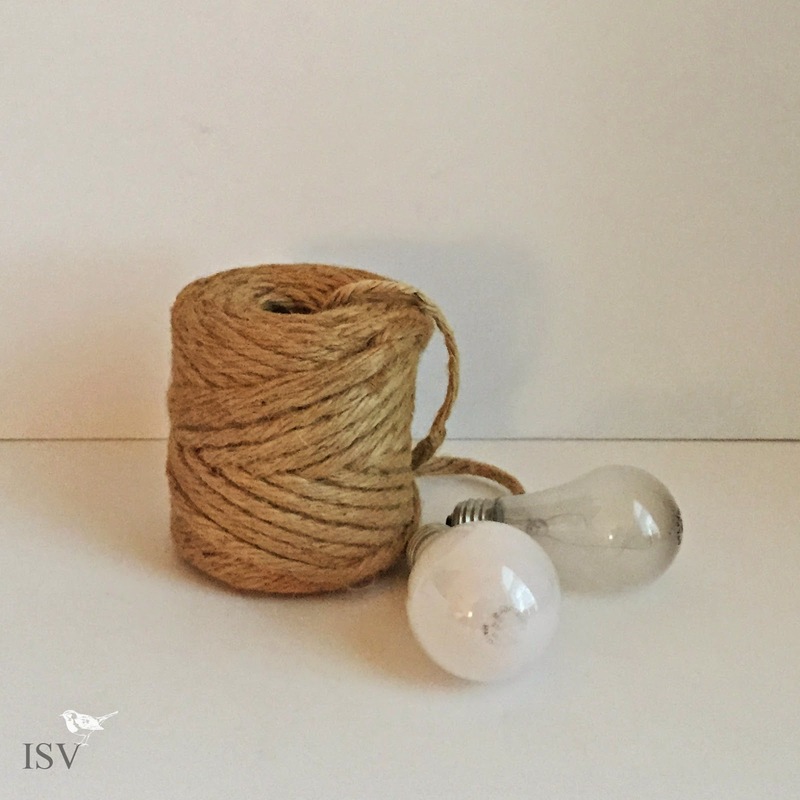 (except for all of the times I glued my fingers together with hot glue) I just wrapped the jute around the light bulb, gluing as I went. I added a piece of a tree limb I found outside for the stem and they were done. I think they are pretty cute. Next time I think I will try wrapping some with twine and also covering others with strips of old book pages. This business of crafting is pretty addictive. PS: You can find lots of great creative ideas here . those pears are pretty darn cool! Super cute and clever. Glad you found it! Who KNEW??? Great idea.....now I will be saving light bulbs! Isn't it a great idea. They are so cute. My sister thinks they would make cute Christmas ornaments. Well that is one cute idea! I'm going to get some mod podge and try making the book page ones. What a great idea! Who knew? The wreath is so pretty! I just found some burlap ribbon that I think would make a great wreath...I'll have to try to get my craft on soon! What sweet pears! Makes me want to do some myself. 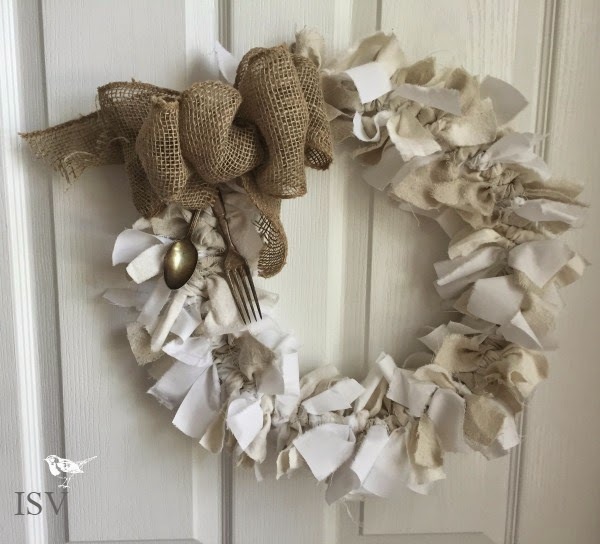 I love your wreath and especially the fork and spoon! Thanks, Diana. I have so much spare time LOL!!! How cute! I never would've thought to make pears out of old lightbulbs. That's gorgeous! What a beautiful idea, hmmmm I have a bare door...you might have inspired me. Oh good. I hope I get to see a photo, Jen!! I love that wreath! The utensils and burlap are the perfect touch. Love the pears too! Well you are darn crafty, the pear is adorable. Seriously, who knew?? It's fun to tap into the creative part of my brain again, Dawn. This is such an awesome idea! They could probbaly be painted as well, so the pear possibily are endless. Brilliant!